I knew this would be a tough track for the Porsche. It is really unstable at high speeds, especially when braking on a corner is involved. I had to brake really early for turn one, then coast through it. Most guys were braking in the corner. I was losing nearly a second a lap just in the first sector. The last corner was pretty hairy too. Race one felt good. I had a few close calls where I was able to catch the car. Race two was not good though. I lost control a few times. I am my own worst enemy. At least I did not collect anyone else. Apparently, there is a 90 degree turn just after the final corner that my car loved to dive into and hammer the wall. Must have smelled like cookies. Warm cookies. Right out of the oven cookies. I'd investigate that too. It was late into race one, and then early into race two. Dashed my hopes. I was having a good time before that. Stats delayed pending protests and poles and fast laps validation. Pretty much my story too Tim. I knew this would be a tough track for the Porsche. It is really unstable at high speeds, especially when braking on a corner is involved. Yeah, T1 and T2 required braking in a straight line then coasting for each. I had a good setup for the last corner other than not being able to get on the power early enough. We needed Minkler here to get a true benchmark though. Had fun ! Both races. Yowan did a good race I coudnt catch. Miss uncle Bobby on the track ! As I said earlier was under the weather last week so I'll use that. Probably one of my worse nights of racing, qualyed 10th and some laps in the car smelled Tim's cookies and went for the 90 deg turn. Dead last yet once again. Race two started out ok but was obvious I had nothing as first Hutty then Coffey came up and passed me. While holding Pat off the same "Cookie Smell" spot bit again this time outside wall. Flat tire, wasn't in the mood to pit and drive around laps down by myself so parked it. 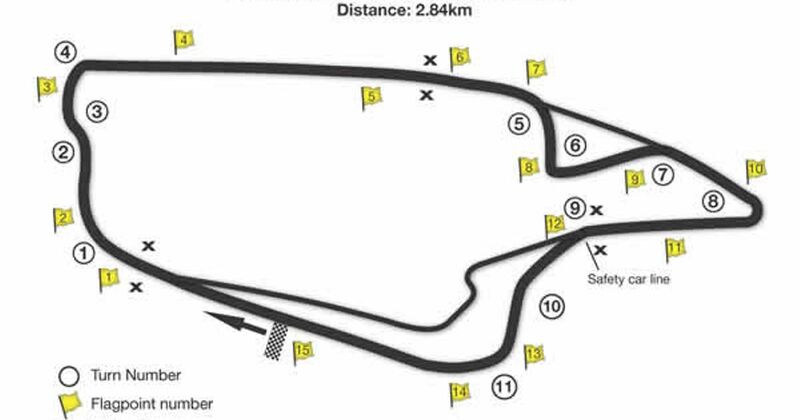 I like this track and have done well in the past in other cars,, just was't gelling for me on Sunday night. Congrats to the winners and podium finishers. This was a rough run for me. I was slow more times than fast through the chicane and felt strong exiting the hairpin pulling off some passes. However, doing that meant a hell of ride down the straight and staying on the bumper of the guy ahead. Near the end of the race 2 I was in Rich's draft and blew it. Just caught his rear corner and spun us both letting Dave get by. I cost us the position and very sorry for it. I waited to make sure Rich got back on ahead of me. Kevin was our commentating spectator at this point and agree was over driving the hell out of it. Other than that I had a lot of fun. Many smiles in race 1 at the begining but couldn't close the gap what so ever on Brandon so it just wound up driving by myself. Had some close racing with Tom for a bit but after awhile just became a cruise. race 2 - enjoyed it all till the last lap or two. Till next race. Cheers. Results are posted (sorry no pics).